Electronic music adapted into classical renditions has been a huge trend as of late. Legends like Sasha, Pete Tong and Carl Craig have all recently performed their underground hits with full orchestras in the past year. Now, Deadmau5 has revealed classical versions of his biggest tracks are in the works via a recent Twitch stream. Although it has not been specified exactly what the pieces will be used for, many fans are speculating the mau5 is working on a film score or new classical live show. What is certain is that Zimmerman is sitting on a huge catalogue of these adaptations. During his Twitch stream, he previewed classical versions of ‘Acedia’, ‘Avaritia’, ‘Jaded’, ‘Fn Pig’, ‘Superbia’, ‘Gula’ and of course, ‘Strobe’. 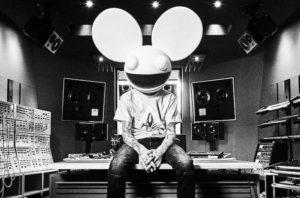 The lack of details has caused a frenzy among Deadmau5’s fanbase, but throughout every thread and comment one resounding constant prevails that each arrangement sounds beautifully and masterfully done. Listen to the clips Deadmau5 previewed below.